When an Agent's intent to enforce the Code manifests itself in his heart and mind, that is when his victory is achieved. It's a done deal at that point. Mark it down. Actually doing something is a mere formality. 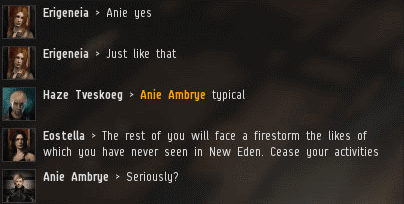 Agent Alt 00 felt great love for Nakugard, an ice system one jump from Hek. When she perceived that Nakugard was suffering, she decided that the Code would be glorified there. 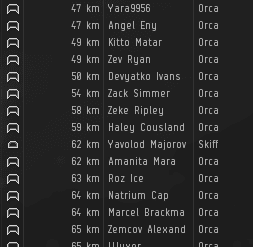 A new threat had emerged in Nakugard: A vast fleet of Russian Orca miners. They were credibly accused of botting. Alt 00 could've personally delivered a speech about her intention to save Nakugard. But to really drive the point home, she sent a herald instead. Eostella announced the manifestation of Alt 00's dream for a Code-compliant, bot-free Nakugard. 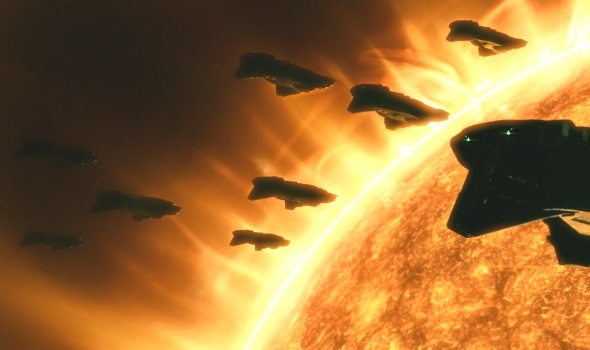 Another victory for the New Order! 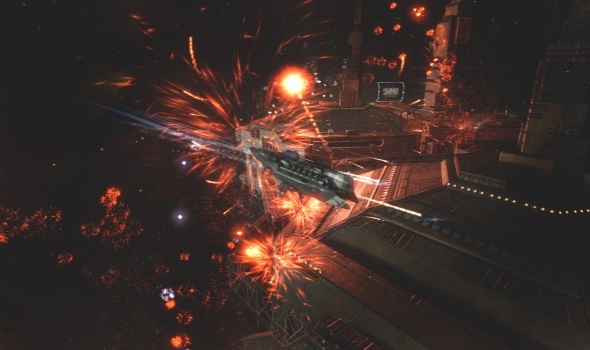 To celebrate the victory, Eostella and her alt began launching a series of fireworks at one of the Nakugard stations. The locals weren't sure what to make of the gesture, but those who were at their keyboards were able to enjoy the fireworks. 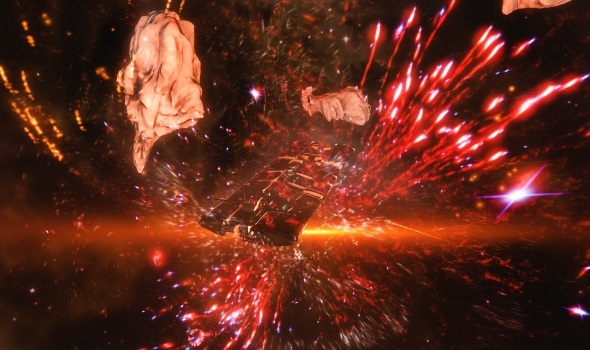 Alt 00's herald moved to the Nakugard ice anomaly and launched more fireworks. Oddly, there were some unlicensed miners still hanging around there. Eostella worried that the whole point of the awesome celebration might be lost on the miners. Maybe they were missing the forest for the trees. By this time, the Orcas should've been evacuating. When an Agent announces a Code enforcement action, it's already bound to occur. 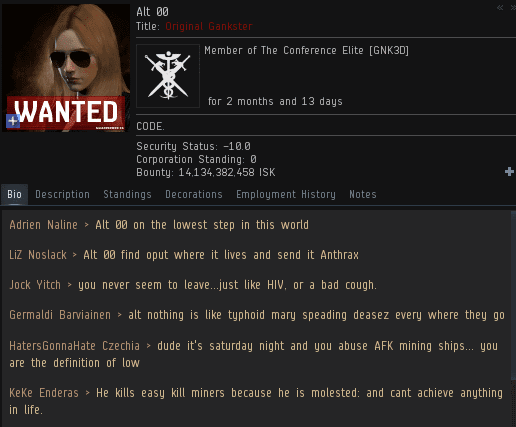 The fact that Alt 00 hadn't done anything yet merely meant that the miners had a chance to save some money by getting out of the way. So much for "If you only warned me..." Eostella now saw a real possibility that unnecessary bloodshed would occur before the Russian Orca bots, and their fellow bot-aspirants, learned their lesson. After the entertaining spectacle of fireworks was over, Nakugard's carebears started to think more carefully about the substance of Eostella's message. The miners weren't happy. They did not seem eager to save themselves from guaranteed destruction. From the perspective of the Code, Alt 00's wrath--and the annihilation of all those miners--was already an accomplished fact. But from the perspective of a greedy carebear, sometimes only a volley of antimatter to the face will do. Perhaps they did not believe Alt 00's herald. Perhaps they assumed that our Agent, like so many miners, was simply making an empty threat. Agents of the New Order do not make empty threats. They make judgments. why didn't antiganking stop the ganks? oh yeah they are the number 1 code fanboys who like to watch freighters dying AND then cry about things dying. 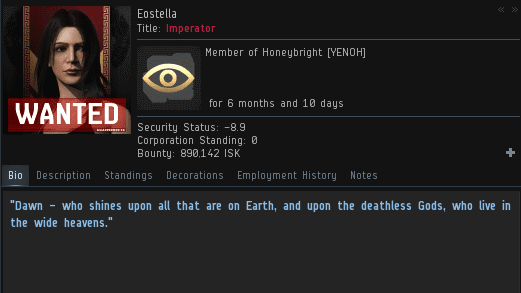 Yeah, I've made a few billion ISK over the years mining the Nakugard ice fields. Nice people there. Jamey's CHODE. slaves can't be everywhere at once. Spine-tingling post, looking forward to the continuation. I can tell this will be a great story because of the high production values. Eagerly awaiting the next episode! 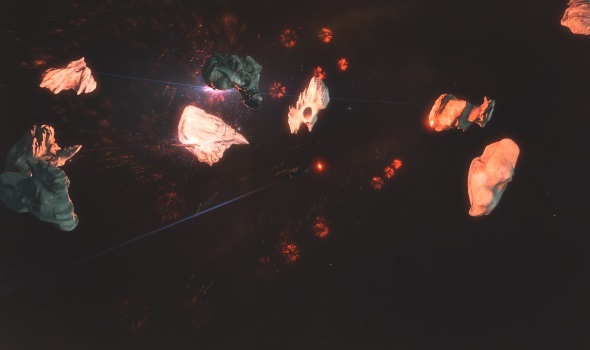 Nothing says "you're fucked, carebear" like a fleet of Taloses at the ready. God part two is gonna be good!! Best russian miner = dead russian miner.